Officially Confirmed? Or is he? The enthusiasm to be found on fan sites is a joy of this business, but it can create all kinds of confusion because fans and bloggers love to use journalist words when they “break a story” but they don’t really know how to use them the way journalists do. 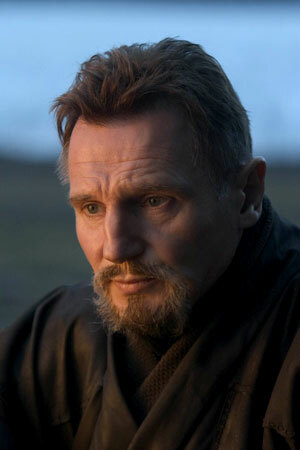 Consider the news that Liam Neeson has been “officially confirmed” as returning as Ra’s al Ghul in The Dark Knight Rises. Now, translating that, he confirmed it was him on the set, which considering he was talking to some outfit called “showbizspy.com” was very big of him. 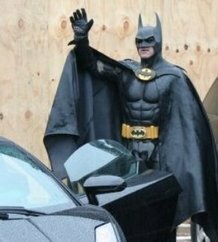 At this point, we at Gotham Trending still wouldn’t discount the possibility that he was just invited to lunch by his old friend Nolan, just to mess with us. One thing is certain, we’ll only really find out in July. Liam Neeson Officially Confirmed For THE DARK KNIGHT RISES. Wait, that’s not right. But it could be! Check out this awesome contest on a website with an even awesomer name and some really awesome shirts. It’s no wonder they are hosting a design contest for The Dark Knight Rises. Final judging by Christopher Nolan himself. Sounds great and we can’t wait to see, and hopefullly buy, the best entries. 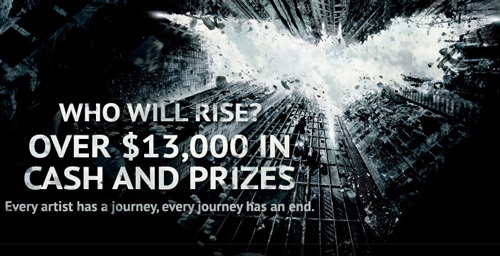 via The Dark Knight Rises T Shirt Design Contest – $13,000 In Prizes. We at Gotham Trending are old enough to remember Robert Wuhl on a talk show promoting the Tim Burton Batman in 1989. Talking about his cut of the merchandise, any action figures that depicted the image of his character Alexander Knox he said “Oh yeah, I’m sure every kid is going to want The Reporter Doll.” Times may have changed. IGN is reporting the newest action figures announced by Mattel and available for pre-order. Mattel has just revealed two more The Dark Knight Rises action figures from their Movie Masters toy line. Joseph Gordon-Levitt’s Gotham City cop John Blake and Michael Caine’s Alfred Pennyworth will be joining the company’s Batman, Bane and Catwoman figures. The toys are now available for pre-order at BigBadToyStore.com. via Mattel Reveals TDKR’s John Blake & Alfred Figures – Comics News at IGN. In a fandom that has come to take everything connected to Batman way too seriously, it’s a treat to look in on the pure silliness that is Gotham City Impostors. While the disappointing mess that is Arkham City continues to pull stunts like promoting their use of an ordinary Nintendo port to try and leverage some cyberink, the first batch of free Gotham City Imposters Downloadable Content hit Xbox 360 in February, andthe DLCs are now available on PC. The new DLCs include katanas, pistols, drop-in matchmaking, improved mouse support and a new highrise level, The 25th Floor. There’s no word yet on a PS3 DLC launch. Producer Nate Edson and associate producer Lucas Myers explain the new PC content in the above video, wherein they prove they are the best actors in existence, ever.